Building a silent PC can be a major requirement for some people. A silent PC is very quiet in operation and you will not be able to hear any noise when you are working on it normally. 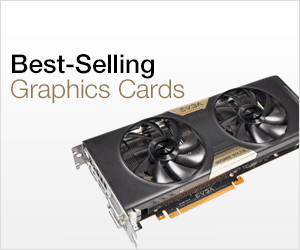 For a totally silent PC you will need a silent graphics card, silent case fans, silent CPU cooler and a silent PC case. A normal PC case can generate noise due to vibrations of its panels and due to placement of various components inside it. But there are some silent cases available in the market that you can buy to build a silent PC for your gaming as well as other needs. These computer cases come with noise reduction features like sound damping panels, silent case fans, vibration pads etc. to reduce noise generated by the case or by the components inside it. So here in this post I am going to list down the best silent PC cases that you can get for building a quiet PC for Gaming, Home Theater (HTPC), Video Editing or for general work. Here are the best quiet PC computer cases from big and well reputed brands. These cases are very silent and offer you a totally noise free environment for working. 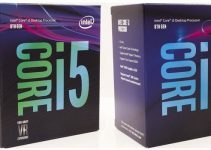 They are great for building a quiet gaming PC, HTPC or a quiet computer for home or office use. These silent cases are available in different form factors that include mini-tower, mid-tower and full-tower cases. Also these silent cases are available for all budgets ranging from 50 dollars to 100 dollars or may be slightly higher. The first silent PC case in our list is Corsair Carbide Series 100R Silent Edition Mid-Tower Case. This is a high quality and high performance quiet PC case from Corsair that supports ATX, Micro-ATX and Mini-ATX motherboards. This is a roomier case and has good airflow and ventilation. For cooling, it comes with one 120mm fan on front and on 120mm fan at rear. You can optionally install one extra 120/140mm fan at front if you like to increase the airflow within the case. On the front panel, you will find two USB 3.0 ports, audio ports and power button. The rear or back side of case has got 3-speed fan controller for controlling the speed of the case fans. To reduce the noise, the case comes with noise-isolating side panels that keep the case very quiet. This mid-tower quiet computer case can accommodate graphics card up to 414mm in length, 150mm tall CPU cooler, 260mm PSU but only a 120mm radiator. The case has good build quality and is not expensive either. Other features of this silent pc case include tool less drive installation, dust filters and cable management. Cooler Master Silencio is a silent SFF mini-tower computer case that support micro-ATX and mini-ITX motherboards. This is the case that I have used to build a small form factor silent PC earlier in this blog. This is a great little case that can be used to build a compact silent computer for gaming, home theater, video editing, small business servers etc. This case is a bit small in size but it does offer good amount of airflow and room for all your components including a high-end graphics card. For cooling and airflow, it comes with one 120mm Xtraflow fan at front and one 120mm Xtraflow fan at rear. You can optionally install extra fan at front and to further increase the airflow. The front side of the case contains two USB 2.0 ports, one USB 2.0 port, audio ports and a SD Card Reader. To reduce the noise, the case comes with sound-damping foam mats on the side panels and a sound-proofing door. This mini-tower silent case can fit in 355mm long graphics card, 155mm tall CPU cooler and a 240mm Radiator for Water Cooling System. Other features of this case include magnetic and removable dust filters, tool less drive installation and cable management. 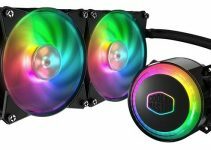 Thermaltake Suppressor F31 is one of the best high performance silent computer cases that you can get to build a powerful quiet PC for gaming. This is a mid-tower case that supports Mini-ITX, Micro-ATX and ATX Motherboards. The case has good airflow / ventilation and has ample room for all the high-end gaming components including a high-end graphics card and water cooling unit. For cooling it comes pre-installed with one 120mm fan at front and one 120mm fan at rear. On the front top panel you will find two USB 3.0 ports, two USB 2.0 ports, audio ports and power button. The case comes with sound-damping foams all around to reduce the noise and acoustic levels for silent operation. This is a Tt LCS Certified case from Thermaltake which means it can support extreme liquid cooling solutions with big radiators. This silent pc case support 420mm long graphics card, tall CPU coolers up to 180mm in height and up to 360mm radiator. This is a fully modular case and it comes with features like dust filters, transparent windowed side panel, cable management, removable “2 + 3” drive racks and tool free installation of drives. Overall it is a solid mid-tower case for building a high-end silent PC. Be Quiet is a brand owned by the German company Listan GmbH & Co. who manufactures silent power supplies (PSU), PC cases, CPU air coolers, CPU water coolers, case fans and accessories. Be Quiet Cases are known for their super silent operation and high quality. Here we have Be Quiet Silent Base 600 Mid-Tower Case which is a high performance and very quiet computer case. This case can support Mini-ITX, Micro-ATX and ATX Motherboards and has got good ventilation. For airflow it comes with one 140mm front fan and one 120mm fan at rear. These are be quiet! Pure Wings 2 fans and they are super silent in operation. If you want to increase the airflow then you can optionally install more fans at top, bottom and on side panel. All the panels of this case have got sound insulation material which reduces the noise and vibrations in the case. Hard drive cages are equipped with specially designed silicone rubber anti-vibration rails that fully decouple drives to eliminate any transmission of vibration to the case. On the front top of the case you will get two USB 3.0 ports, two USB 2.0 ports and audio ports. This super quiet PC case can support 413mm long graphics card, 167mm tall CPU coolers and 240mm Radiator. The case has good build quality and it include features like removable dust filters, transparent windowed side panel, cable management, tool free drive installation and removable HDD cages. So if are looking for a specialized and professional super silent case then this one fits perfectly. 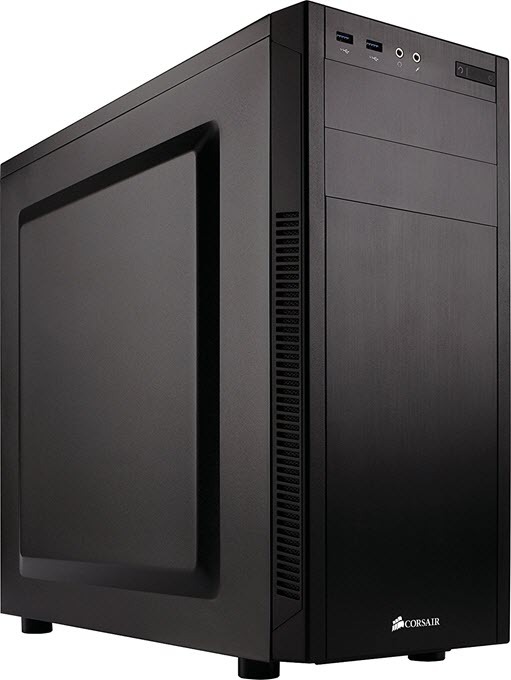 Be Quiet Silent Base 800 is the bigger brother of the above mentioned Be Quiet Silent Base 600 mid-tower case. 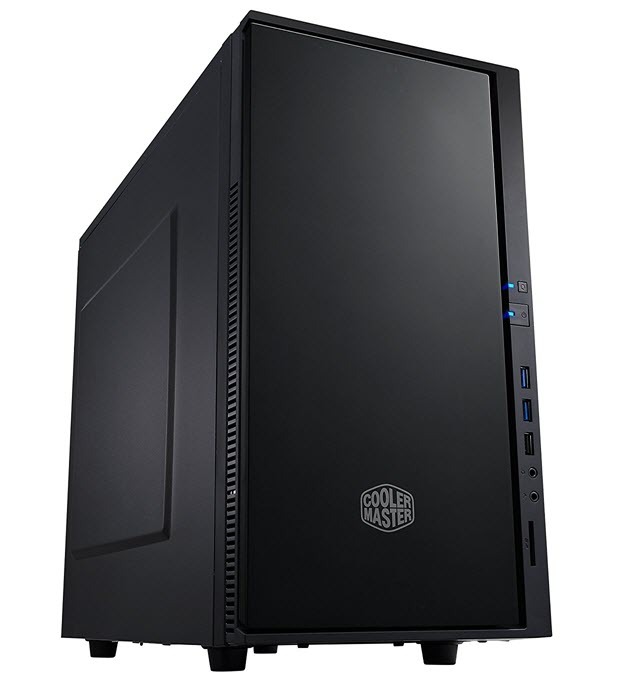 Be Quiet Silent Base 800 is also a mid-tower case and can fit in up to ATX sized motherboards. 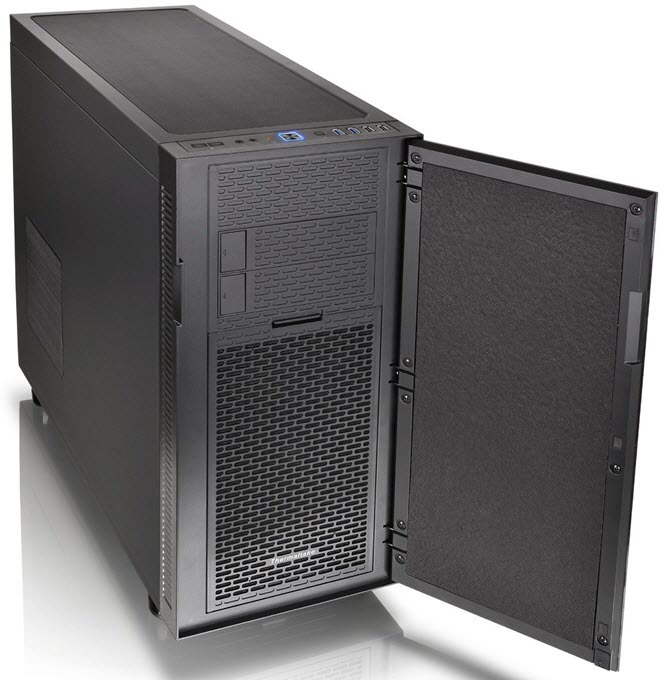 It is also a super silent case but offers some more room or storage space over Base 600 model. This quiet mid-tower case has good ventilation and airflow. For cooling it comes pre-installed with two 140mm and one 120mm be quiet! Pure Wing 2 fans which are very silent in operation. On front top panel you will find two USB 3.0 ports, two USB 2.0 ports and audio ports. This is a good looking case and has got good build quality. To reduce the noise the case comes with insulation mats or sound-damping material on all the panels. It also comes with Anti-vibration decoupled HDD and PSU. This silent mid-tower case can support graphics card up to 400mm in length, CPU coolers up to 167mm in height and 280mm Radiator for liquid cooling system. Other features of this case include removable dust filters, transparent windowed side panel, cable management, tool free drive installation and removable HDD cages. 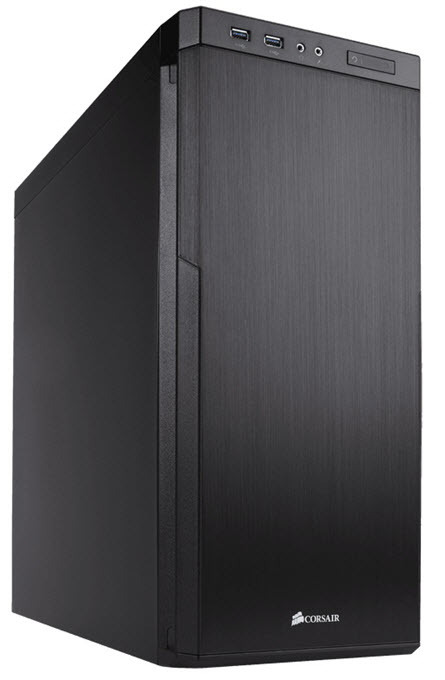 This case has higher Drive Bay capacity compared to the Base 600 model, so if you require more drive cages for hard drives or SSDs then you can go for this one otherwise the Base 600 model will be enough for you. If you are looking for an affordable, good looking and feature rich silent PC case with solid build quality then Phanteks Eclipse P400S mid-tower case will definitely impress you. 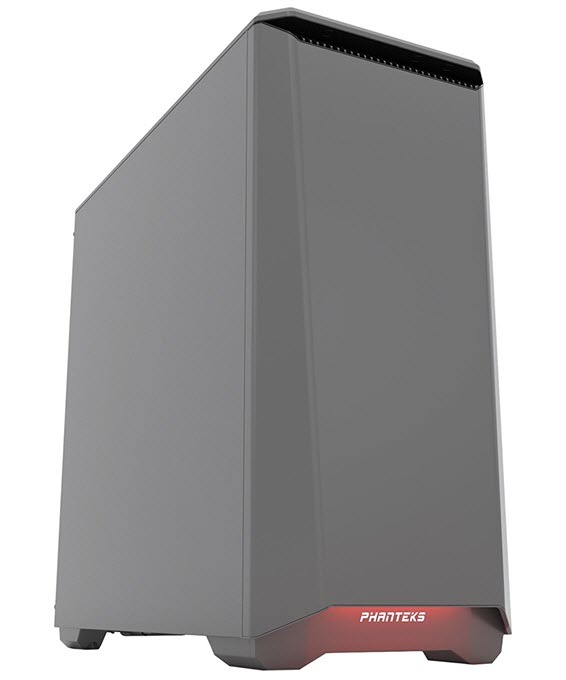 Phanteks may not be a big brand like Corsair or Thermaltake but it does offer some high quality computer cases and Phanteks Eclipse P400S is such a PC case. This ATX quiet case offers tons of space for all your high-end components for gaming as well as other purposes. It has got very good ventilation, airflow and for cooling it comes with pre-installed with one 120mm at front and one 120mm at rear. Front I/O ports and connectors include two USB 3.0 ports, audio ports, LED Control and 3-Speed Fan Controller. For silent operation the case comes with top/front/side sound damping panels. This stylish silent case support up to 395mm long graphics card, up to 160mm tall CPU coolers like Cooler Master Hyper 212 EVO and up to 360mm Radiator for Liquid Cooling Systems. 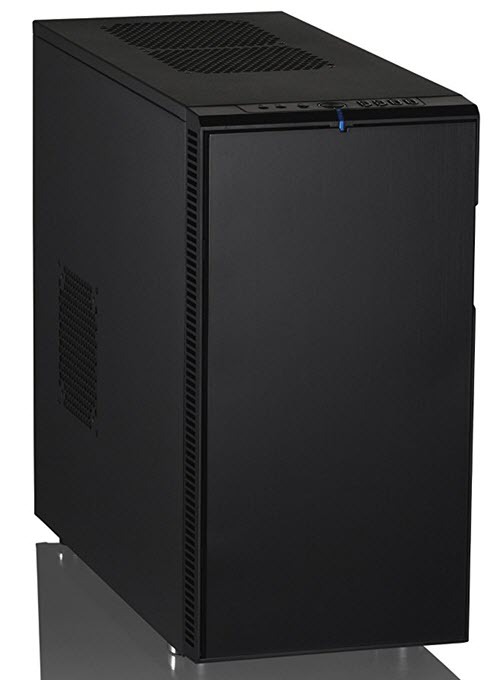 Other features of this high quality quiet computer case include removable dust filters, cable management, removable HDD cage and tool free drive installation. 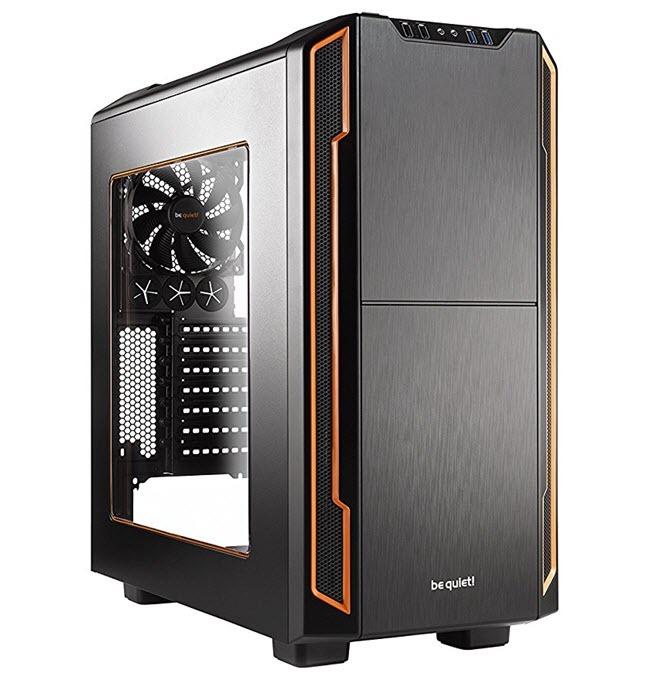 This case does not come with 5.25-inch drive bays, which can be a bit of setback for some users but overall it is a very good silent PC case that is not expensive and offers good features and performance for building a powerful PC. Highly Recommended by me. Corsair Carbide Series 330R Blackout Edition is a high performance and high quality ultra low noise mid-tower case from Corsair. This great looking mid-tower case support ATX, Micro-ATX and Mini-ITX motherboards, and offers lots of room for all the high-end gaming components. This silent PC case has good ventilation and for airflow it comes with one 140mm fan at front and one 120mm fan at rear. Optionally you can install two fans on top and one extra fan on front side for increasing airflow. The front door of the case is reversible and is made from brushed aluminum. On the top side of the front panel you will get two USB 3.0 ports, audio ports, power button and 3-speed fan controller to adjust the fan speed depending on the conditions and temperature of the case. The case has superior sound absorption as it comes with noise-damping material on front door, top panel and side panels. This case can easily fit in high-end graphics cards that are up to 450mm in length, 160mm tall CPU Coolers like CM Hyper 212 Evo and supports up to 280mm Radiator for liquid cooling systems. Other features of this high-end silent PC case include removable dust filters, cable routing and management, tool free drive installation. So if you are looking for sturdy silent PC case from a reputed brand then you can surely go for it. You can use this quiet case to build a silent gaming PC or an enthusiast PC. Thermaltake Suppressor F51 is the bigger brother of the above mentioned Thermaltake Suppressor F31 mid-tower case. Thermaltake Suppressor F51 mid-tower case offers more room and can support up to E-ATX motherboards. It is also a silent PC case and got excellent noise reduction capabilities. This is a big case that offers loads of space for expansion and has got very good airflow and ventilation. For cooling, it comes with one big 200mm fan at front and one 140mm fan at rear. On the front top of the cabinet you will find two USB 3.0 ports, two USB 2.0 ports, audio ports, power button and fan speed controller. The case has sound reduction panels on all its side which ensures silent operation. This is a Tt LCS Certified case that supports extreme liquid cooling solutions for building a high performance PC for gaming and other high-end use. The case can accommodate 465mm high-end graphics cards, 185mm tall CPU coolers and can support 360mm big radiator. This is a fully modular case and its other features include removable dust filters, cable routing and management, tool free drive installation. So if you want a big and extra spacious silent PC case for your high-end build then this is the one to get. 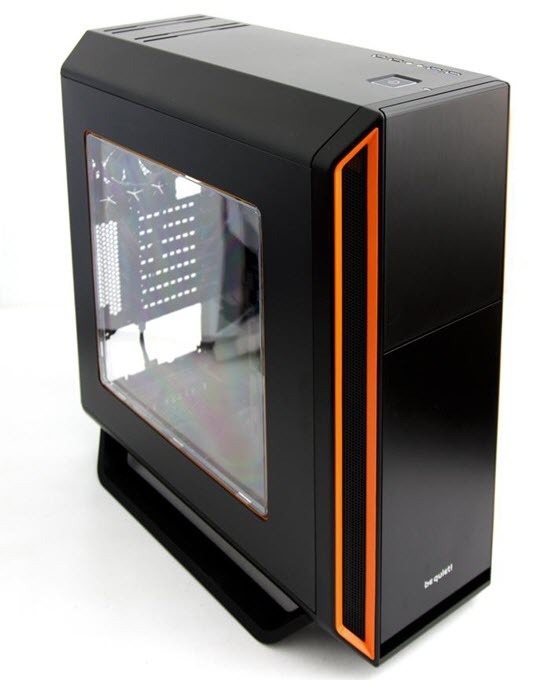 Another very good silent mid-tower case from Corsair. 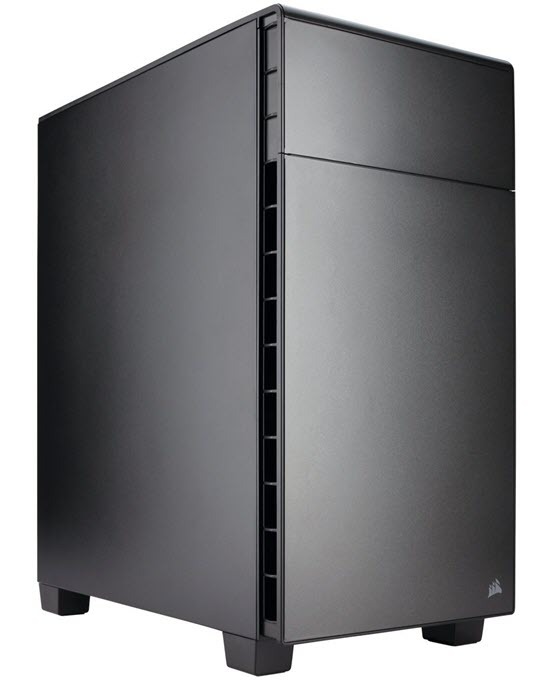 Corsair Carbide Series Quiet 400Q is compact mid-tower case but it offers good amount of room for high-end components and can fit Extended ATX (E-ATX) motherboards having dimensions up to 12″ x 10.6″ inches. The case has good aesthetics, is light weight and has very good airflow. The downside is that the case lacks 5.25-inch drive bay for optical drives (DVD writer / Blu-ray drive etc.). For cooling the case comes pre-installed with one 140mm fan at front and one 120mm fan at the rear. The top front part of the panel has got two USB 3.0 ports, 3-speed fan controller and audio ports. For noise reduction it has got sound-damping materials on side, top and front panels. This compact mid-tower case is big enough to fit 370mm long graphics card, 170mm tall CPU cooler and 360mm Radiator. Other features include cable routing, removable dust filters and tool less drive installation. Overall it is a feature rich and solid quiet PC case having small form factor. Fractal Design may not be a popular brand but it makes some high quality computer cases for both home and business use. Here we have Fractal Design Define R4 Mid-Tower Case which is a tough and silent PC case and offers lots of room for all your components. 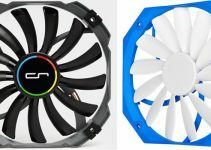 The case offers good airflow and it comes with one 140mm Silent Series R2 fan (Hydraulic Bearing) at front and one 140mm Silent Series R2 fan at rear. You can optionally install more fans as the case offers seven fan mounting positions. On the front of this silent case you will find two USB 3.0 ports, two USB 2.0 ports, Audio ports, LED power & reset button and a fan controller which is located behind the front door. For noise reduction the case with high density noise reducing material on its panels. This case has got plenty of space for your disk drives including HDDs and SSDs. This premium quality silent case supports up to 295mm long graphics card, 170mm tall CPU coolers and 280mm radiator. Other features of this case include dust filters, cable routing, tool less drive installation. 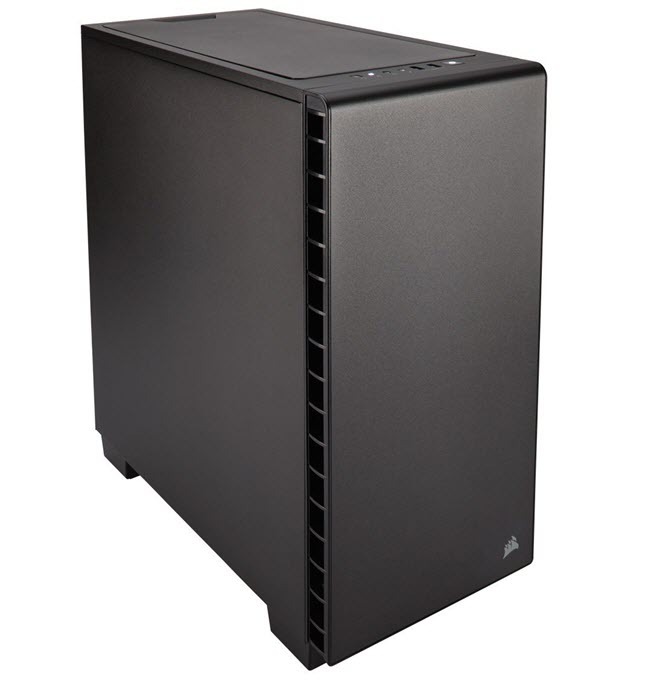 Overall it is a great silent PC case for building a silent server or a decent gaming build. Update: There are two new models of this case available which is Fractal Design Define R5 and Define R6. The new cases are slightly better and more spacious than the older ones. You can check them out from the links given below. If you are in search for a high airflow and silent case then Corsair Carbide Series Quiet 600Q Inverse is a perfect choice. It is a full tower case and can accommodate up to ATX sized motherboards. The case feature inverse ATX layout design which means all the components are installed upside down. The PSU is mounted on the top and there are no drive cages in-between the front fans and the components. This means cool air from the front fans is directed directly to the hottest components i.e. CPU and Graphics Card, without any obstruction in between. For cooling, the case comes pre-installed with two 140mm fans and one 140mm fan at rear (Corsair AF140L Fans). It also has bottom fan mounts for installing extra fans for increasing airflow. The front panel is made of solid steel and on the top you will find two USB 2.0 ports, two USB 3.0 ports, Audio ports and a three-speed fan controller. The front, top and side panels of this case is fitted with sound dampening materials to keep noise to minimum levels. The case has good sound absorption capabilities and is one of the quietest cases in the list. It can support high-end graphics card up to 370mm in length, tall CPU cooler up to 200mm in height and up to 360mmm Radiator for water cooling. The build quality of this quiet case is top-notch and it also includes two 5.25” inch drive bays for optical drive. For storage, you can install two 3.5-inch hard drives and three 2.5” inch SSDs. Other features include Dust Filters, Cable Routing and Tool-free drive installation. 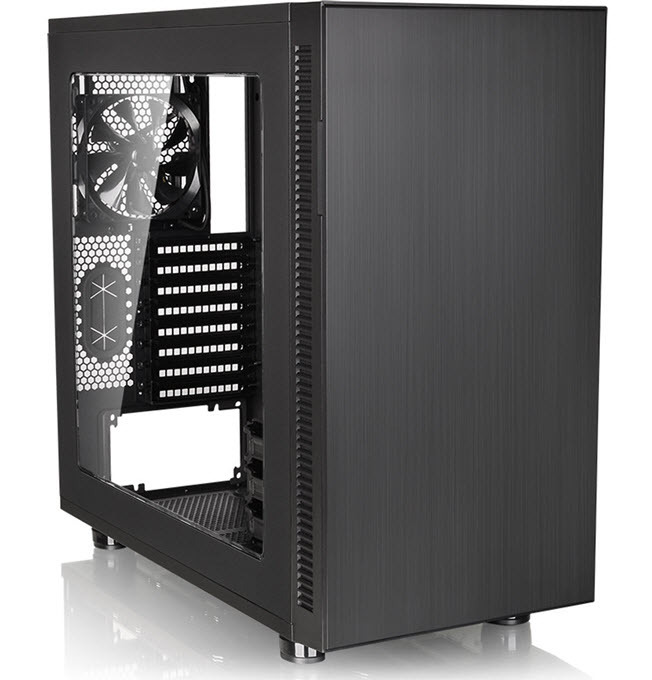 Overall, it is a very good silent case with great airflow and offers tons of space for all your gaming components. Highly Recommended by me. Getting merely a silent case won’t make your PC super silent because other components like graphics card, CPU Cooler and case fans can generate substantial amount of noise which can get to your ears. So if you want to build a completely silent PC then you must also get a passive cooled graphics card, silent CPU cooler and silent case fans for a completely noise free or quiet PC experience. So if you like to work in a noise free environment then these above mentioned silent PC cases will help you to build a quite PC for work or gaming. They are from good brands and offer lots of storage space and features for all your needs. If you have any queries or doubts then you can ask me by leaving a comment below. I bought a Fractal Design R5 in 2015….. the Fractal Design R6 came out in 2017…. I guess you’re right about them not being particularly popular cases, especially with gamers who like bright annoying lights.. but people like myself who work with music production, i love my R5 because you can’t hear it at all and you don’t know if it’s on unless your monitor is on, and/or you see the little blue light on the front.